Before the term “foodie” was a trend and badge of honor, Morgan was immersed in the world of cooking and the joy that it could bring. She was constantly trying out recipes for cookies and cornbread in her mother’s kitchen, learning the special seasoning that her grandmother used to make a holiday ham oh-so-sweet, or that the secret ingredient that made all of her grandmother’s cakes better than anyone else’s was inevitably always ‘love’. To Morgan, no detail or feat was too small in the world of cooking. As a child, she even went as far as to make sure that the bagged lunches she prepared the night before school looked like they belonged in an editorial rather than a brown paper bag. Her love for cooking stemmed from her love for people, and the ability that this gift had to bring her loved ones together, and to make people have a great time. Nearly two decades since that young girl was milling around her mother and grandmother’s kitchens, she has now cultivated that love into a blossoming career by graduating from the Culinary Institute of America in 2011 with a degree in Baking and Pastry, working for several prestigious bakeries and special events companies in the Atlanta area, and even guest appearing on numerous occasions on the Steve Harvey Show to share some of her quick and delicious recipes with the TV world. Now, Morgan is taking her talents to another level. By creating I Need Some Mo, she will share her love for filling her friends and family’s bellies with each of you. She believes cooking is something everyone can handle, and even enjoy, so she is sharing with you recipes that are delicious, beautifully presented, and conquerable!! 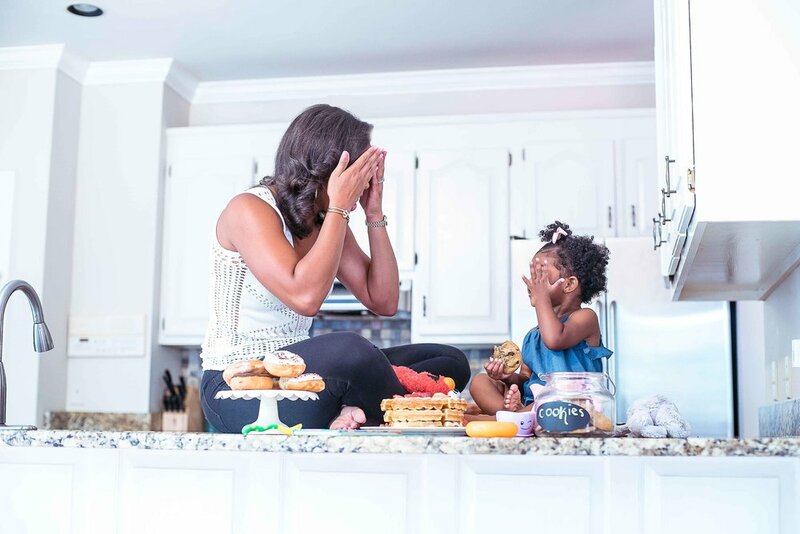 While running her own business, and running after a toddler, she understands that a home cooked meal does not need to mean hours in front of the stove. Expect to find countless meals that will get dinner on the table in thirty minutes or sometimes even fifteen!! And as a self-proclaimed social butterfly as well, Morgan has also not forgotten that sometimes you just want to party too! So look out for delicious cocktails, and fresh ideas on hors d’oeuvres that will get you out of the kitchen in plenty of time to still enjoy the company that you keep! Let’s not keep you waiting any longer. Dive into the site, get inspired, and start cooking with Chef Mo!